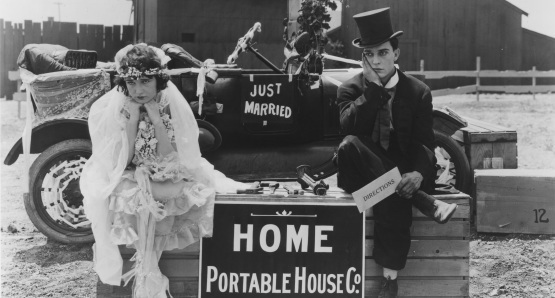 Buster Keaton Birthday Celebration DVD/Blu-Ray Giveaway! In order to qualify to win one of these Sets via this twitter contest giveaway, you must complete the below entry task by Saturday, October 29 at 10PM EST. However, the sooner you enter, the better chance you have of winning, because we will pick one winner on five different days within the contest period, via random drawings, as listed below… So if you don’t win the first week that you enter, you will still be eligible to win during the following weeks until the contest is over. Please note that each winner will be able to choose their preferred format: DVD or Blu-Ray. 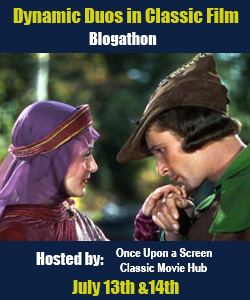 We will announce the winner(s) on Twitter @ClassicMovieHub or this Blog (depending how you entered), the day after each winner is picked at 10PM EST (for example, we will announce the first winner on Sunday October 2 at 10PM EST on Twitter or this Blog). What is your favorite Buster Keaton film and why? And if you’ve never seen a Buster Keaton film, why do you want to win this DVD Set? 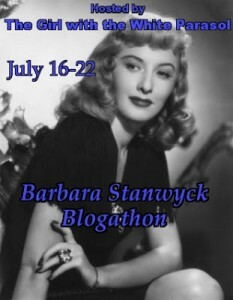 NOTE: if for any reason you encounter a problem commenting here on this blog, please feel free to tweet or DM us, or send an email to classicmoviehub@gmail.com and we will be happy to create the entry for you. About the DVD: As new generations discover the magic of silent cinema, Buster Keaton has emerged as one of the era’s most admired and respected artists. Behind the deadpan expression and trademark porkpie hat was a filmmaking genius who conceived and engineered some of the most breathtaking stunts and feats of visual trickery, while never losing sight of slapstick cinema’s primary objective: laughter. Produced by Lobster Films, BUSTER KEATON: THE SHORTS COLLECTION includes all 32 of Keaton’s extant silent shorts (thirteen of which were produced under the tutelage of comedian Roscoe “Fatty” Arbuckle). These 2k restorations were performed utilizing archival film elements from around the world, and promises to be the definitive representation of Keaton’s early career. Watching these films in succession, one witnesses the evolution of an artist — from broad knockabout comedian into a filmmaker of remarkable visual sophistication. 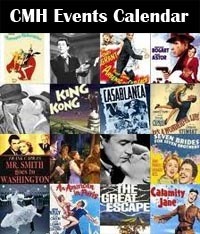 For more information, visit the Kino Lorber Website here. 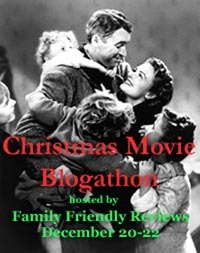 This entry was posted in Contests & Giveaways, Posts by Annmarie Gatti and tagged buster keaton shorts collection 1917-1923, Kino Lorber. Bookmark the permalink. Well I momentarily had him mixed up with Michael Keaton, Beetlejuice, because Buster is a little before my time. So can’t say that I’ve actually seen any of his films though I do know who he is now. And I like silent films because it is a different kind of comedy that doesn’t rely on the raunchiness of most of today’s. Pure and simple. Straightforward. Any age group can ‘get it’. And it doesn’t get old. Just a joy producer. I do not have a twitter account, so am posting here to enter but cannot tweet the message. I’ve only seen two Keaton films, Seven Chances and The Cameraman. I loved both of them! 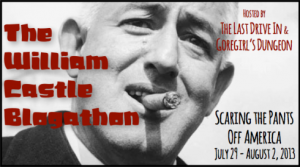 I also just finished reading his autobiography yesterday, My Wonderful World of Slapstick, so I would love to win this and see all the shorts he talked about in his book!! Well, I’ve seen The General and I’ve seen A Funny Thing Happened.. but that’s hardly enough; gotta see more! 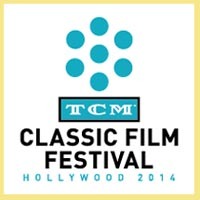 The General, but perhaps only because I have watched it in a theater with a newly composed, live performed, score. Never seen a Buster Keaton movie but interested in watching as I heard about his movies. I would have to say that The General is my favorite only because it is the sole Keaton movie I’ve seen. Roger Ebert called him “the greatest of the silent clowns”. 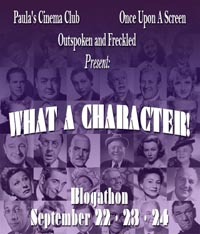 I have seen far more of Chaplin’s and Lloyd’s filmographies and would like to rectify my Keaton shortcoming. I’m sorry if this posts twice, something went wrong the first time I tried to post this. Sherlock Jr. is my favorite Buster Keaton film. It was way ahead of its time. All of his movies make me laugh out loud and are full of heart. Steamboat Bill Jr. Is my favorite, not just for the hilarious and elaborate stunts, but because of the humanity that Keaton embodies. BECAUSE I NEED IT BAAAAAAD!!!!! Hi Thomas, please remember to tweet the qualifying message or let us know that you don’t have a twitter account. Thanks! My favorite would be The General, although I’ve seen most of his films and love them all. The stunts alone on The General were amazing for that period of film. This set has the Fatty Arbuckle shorts as well (I believe) and that’s some classic comedy. My favorite has to still be SHERLOCK JR. I first encountered it in a tape that my grandfather made me of a bunch of movies he thought I would enjoy. My first Keaton film, and which I’ve watched more than any other. I love the stunts, the trick photography and editing, and most of all the earnest and endearing hero. The General. I was able to see it in a theater with a pipe organ following it, and it made me envious of those who grew up during the silent era. It also seemed to accentuate Keaton’s feats throughout the film, and give the audience an appreciation for what those who worked on the movie had gone through. I have yet to see a Buster Keaton film, which is exactly why I want to win this set- I want to familiarize myself with something I have been meaning to for many years. I’m going to say The General. Steamboat Bill Jr might be funnier, but the scope of the chase and the gags and stunts involved put The General on top. Did my tweet go through on this one? The first Keaton film I ever saw was The General, and it is still my favorite. Lots of action and thrills. The General. 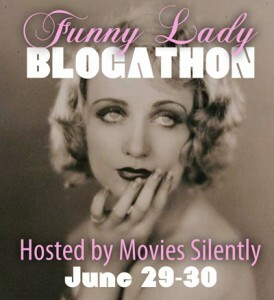 It was one of the first silent movies I ever saw when I first started studying old classic movies. 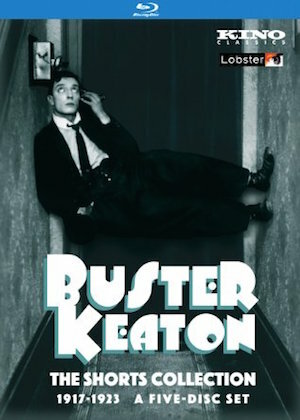 I loved Buster Keatons entire way of acting in a silent movie like that. Even the sets on the movie was so advanced for that time period. I think he really knew what he was doing and made the movie so funny! His facial expressions, him even struggling on the train! He honestly was a silent film genius! Hi Tracy, I can’t see your tweet for some reason (maybe because it’s protected). That said, confirm here that you tweeted, or simply tell us here that you could not tweet the message. Thanks! hi! yes i tweeted the message. my tweets are protected, but the message is there! hope to win this! buster keaton is a genius actor of the silent movie erra! Got it thanks! You are all set 🙂 Good Luck! Oops. Sorry… not sure why but thanks for persisting! My favorite is Steamboat Bill Jr. It may be cliche but it is what introduced me to Buster Keaton. I remember watching and being amazed by what I was watching. The Hurricane Sequence is legend for a reason. I couldn’t take my eyes off the screen. The Navigator is my favorite Buster Keaton feature because it has a solid story spine, a great set piece in the ship, lots of great gags and a good role for his co-star. Seven Chances. The chase scene where he is running from the women. I love all his films but that film stays with me. Hi, haven’t seen your tweet yet. Please remember to tweet, or let us know here that you don’t have a twitter account. Thanks! Steamboat Bill Jr for so many reasons: the hilarious hats he tries on, the befuddled dad meeting his son, the fact that Buster never gives up, and of course all the amazing stunts including the house fall that has been imitated in movies since! 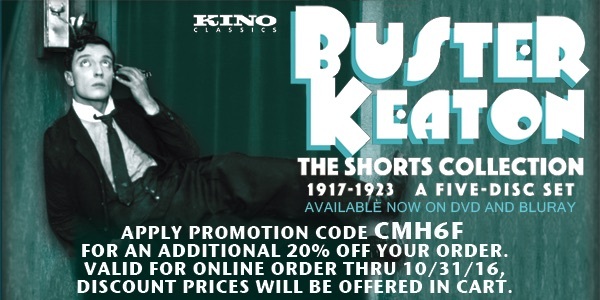 I love Buster Keaton shorts! However, if I’d have to pick a full film, my favorite would be The General. His physical comedy is fantastic and I love to see how he reacts to different scenarios. This is a very well done period comedy that floors me every time. I grew up on modern movies and as I began to delve into movie history Buster Keaton was the gateway for me into the silent era of films. I love the General. It is Keaton at his deadpan best. I’ve seen quite a few of his shorts as well which led me to check out Chaplin, Melies, and many others. I would love to go back to my film history roots with this box set! I think my favorite Keaton film has to be Seven Chances because it contained arguably his greatest chase scene ever: the ‘Bridal Run’ sequence. It just showed that he had no fear, and was willing to do anything to entertain his audience. I am a young aspiring filmmaker. I have never seen a Buster Keaton film. 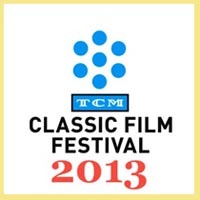 As someone who has made a goal of seeing as many classic films as possible, I would love to remedy that. My Twitter name is FilmGuy1997. Sooo many to choose from. I love “The General”, and “Our Hospitality” has a great (though today, a definitely UN-PC) sight gag at the end. But I would have to go with “Seven Chances” for two reasons – hundreds of women chasing Buster through the streets seeking to marry him, followed by Buster being chased down the hill by boulders from an avalanche. I think Sherlock Jr., although I didn’t get to see the whole thing. A great movie where reality is blurred with dreams. He was phenomenal! Steamboat Bill Jr. The film has a consistent flow of comedy and the inside joke on the hat was funny. It also demonstrated Buster’s athletic ability in the final scenes. Although I adore all of Buster’s films, Sherlock Jr. holds a special place in my heart. It was the first movie of his I watched, and I’m still amazed as ever over the details gone into making such a film. From that point on, there was no turning back. Steamboat Bill Jr. for sheer artistry…and, of course, it is hilarious! 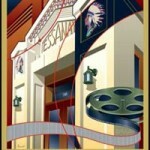 My favorite Buster Keaton film has to be either The Electric House or The Playhouse. I love most of not all of his found because they’re just so timeless. My favorite is The General. It not only showcases Keaton’s storytelling prowess and physical dexterity, it made me laugh. Hi James, please don’t forget to tweet the message, or let us know here that you don’t have a twitter account. Thanks! Sherlock Jr.! 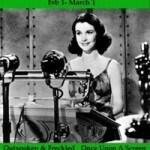 An exhilarating phantasmagoria of the possibilities of cinema! I have always been enamored with The General. It was my first serious introduction to the Silent film era pictures. And even since seeing many other Keaton films, I still return to The General for its ability to coalesce all of the best Buster gags and stunts in one fine product with incredible scope. I’ve always heard the name, I’m interested to see his work. One of my favorites would have to be “One Week”. It’s hilarious. In the scene where the front of the house comes down around him he hurt his back. But Keaton never lets that show. Keaton is pure Genuis! Hi Josetta, Hope all is well! Please don’t forget to tweet the message 🙂 Thanks! I was very close to picking The General as it was his personal favorite and the first feature length film of his that I saw (therefore holding a special place in my heart), but I think my overall favorite would have to be Steamboat Bill Jr – for little reasons such as the iconic hurricane sequence, the fact that it’s well paced, the character development; but probably moreso because it’s not as comedic as his shorts yet more endearing. It proves that he can still entertain without hilarity. I’m so proud of him for this film, because things were getting tougher in terms of his control of production after The General – and although uncredited, he actually co-directed and contributed substantially to the screenwriting. I love Sherlock Jr. It is one of my favorite movies period. It is filled with energy and invention. It is a movie about the magic of movies. I’m surprised no one has mentioned my favorite yet — The General! (ahem.) 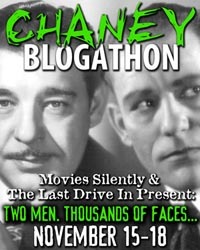 For all the points in its favor, it was also my entree to Buster Keaton. In my early days, I was into history and the US Civil War, and also liked watching Charlie Chaplin shorts, so this was a natural. As for shorts — I’m not saying that The Goat is the GOAT, but I’m not saying it isn’t either. I recall enjoying THE GENERAL the most, and I have never seen any of his shorts, so it would be nice to own them! I have never seen a Buster Keaton but I am so getting into classic movies and would love to have this as part of my collection. My favorite Buster Keaton film is The General . I remember seeing the Disney version, when it first came out. But then, I discovered The General. The vision of Keaton riding on the wheel connecting rods is unforgettable. I do not have a Twitter account, so I am posting here to enter but cannot tweet the message. The Cameraman is my favorite because it’s a love story. My twitter name is dusksunset, FYI. 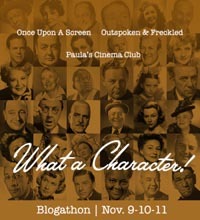 I have had the pleasure of seeing several of Buster Keaton’s films on the big screen with live piano music. It is difficult to pick a favorite, but I think I enjoyed watching “One Week” and seeing how he made all the wrong pieces of the house still work and function in a different way than what it should have. I would love to see all of his films, especially after having recently read his biography and learning about the difficulties he endured. Buster Keaton was the greatest genius of Silent Film comedy. Although I love all his work, notably The Three Ages for having aa stop-motion dinosaur, and even Boom in the Moon (perhaps his “worst” film) for the sci fi theme, my favorite is the short “The Playhouse” – really amazing how he played all the players in it – truly a feat and artistic wonder. My favorite Keaton film is SHERLOCK, JR., for its sheer visual inventiveness and editing. I do not have a Twitter account, so I am posting here to enter but cannot tweet the message. First I have to say how much I enjoy reading everyone’s comments about Keaton’s films. Both of my all-time favorites have been mentioned MANY times! The General and Steamboat Bill Jr are both wonderful. When I was a child very often these were what you got on TV on a Sunday afternoon on one of the 3 channels available! Ah, the good old days! My jaw would hit the floor EVERY TIME I watched, and I still have the same reaction to the stunts today. Stunning stuff! 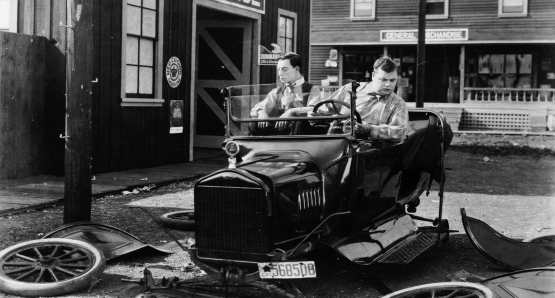 They are a joy to watch regardless of the image quality, but the prospect of winning restored versions of anything Buster Keaton is exciting! As a side note, I also have great memories of watching Charlie Chaplin, Little Rascals, and many, many hours of Keystone Kops! They were death defying. I always wondered how many injuries happened during the filming of each episode! And it is heartwarming to find a community of like-minded fans. Thanks for the site and the contest! Too many to choose from! How about ONE WEEK for solid laughs, SHERLOCK JR. for eye-popping technical wizardry, and THE GENERAL for thrills? The General. Because he broke his neck while filming it and didn’t stop! Literally. Amazing film! Sherlock Jr. is my favorite. I want to see more of his work. Love to see it on the big screen. His work always makes me happy. Amazing talent. I don’t really have a favorite Buster Keaton movie, but I think it’s because I have never seen any really good PRINTS of his films….this is why I want to win this set! When I recently saw an HD presentation of Modern Times, I suddenly appreciated it SO MUCH MORE and I felt like I was watching it for the first time. I’d love to have this experience with Keaton as well. Thanks for this contest!